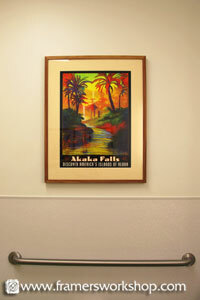 Pediatric dentists Joseph K. Wampler, DDS; Neil M. Katsura, DDS; Bob A. Khalil, DDS; Arnold H. Nakazato, DDS; Ameneh Khosrovani, DDS, MS; Carole Miyahara, DDS; and Megan Golinveaux, DDS, MS practice a full scope of pediatric dentistry. 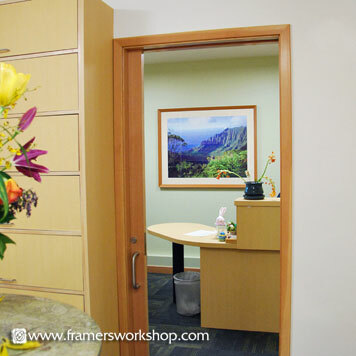 Their practice has the specialized equipment, facility and staff to properly address today's most demanding pediatric dentistry needs in a warm and caring environment. 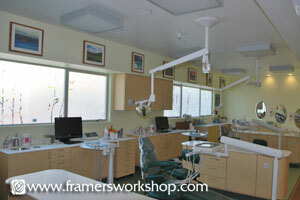 Their dentists have a gentle touch and special way with kids. 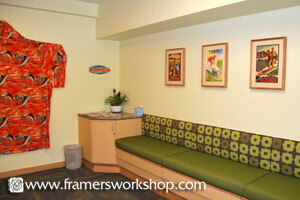 Their pediatric specialists and staff love children and are specially trained to put them at ease. 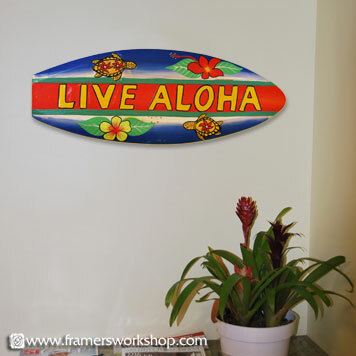 At Aloha Pediatric Dentistry they teach your children the proper way to take care of their teeth and just as important, they learn that going to the dentist can be fun. 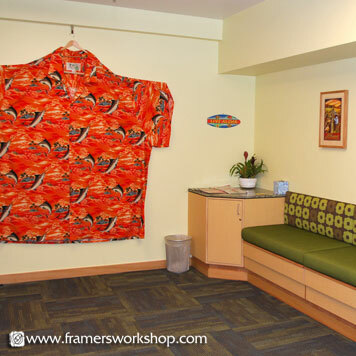 Working with Ameneh Khosrovani, DDS, MS to decorate their newest office, we sourced Hawaiian-themed art that would be attractive to parents and fun for children to enjoy while in the waiting room or in the shared exam room. 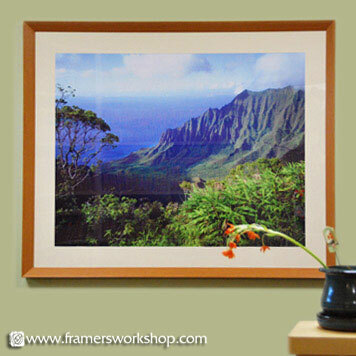 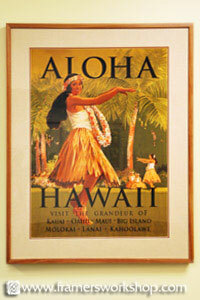 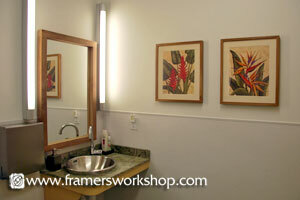 We used vintage replica posters of old Hawaii along with calming photographs of tropical nature. 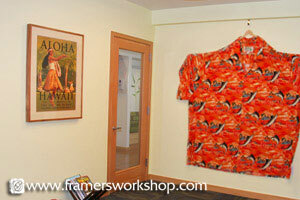 From the minute the young client enters the reception area she is greeted with a smile and the largest Aloha shirt we have ever seen. 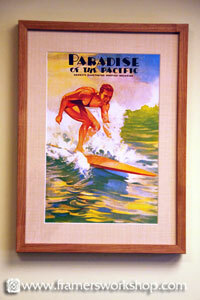 There are toys to play with and the walls are covered with colorful tropical images that depict young people having fun. 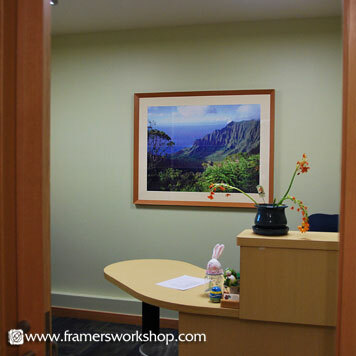 When they enter their first exam room they sit in “The Banana Chair,” a bright yellow exam chair and are immediately put at lease by their gentle dentist. 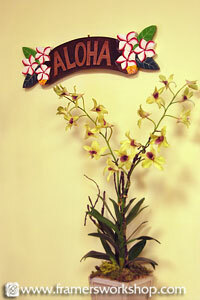 Our own children were Aloha dental patients and we can attest to their caring, professional work. 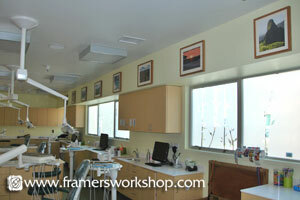 To not disrupt the work flow in this busy pediatric dental office we installed the work on a Saturday. 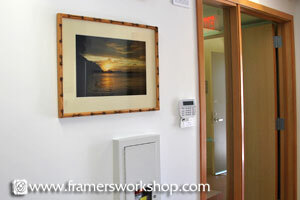 We have also framed art for their four other regional offices.